Seize the Day! In this class perfect for those new to glass or those who want to add something different to their work, students will create a 6×6 gently curved dish that features the addition of a special message or inspiration. 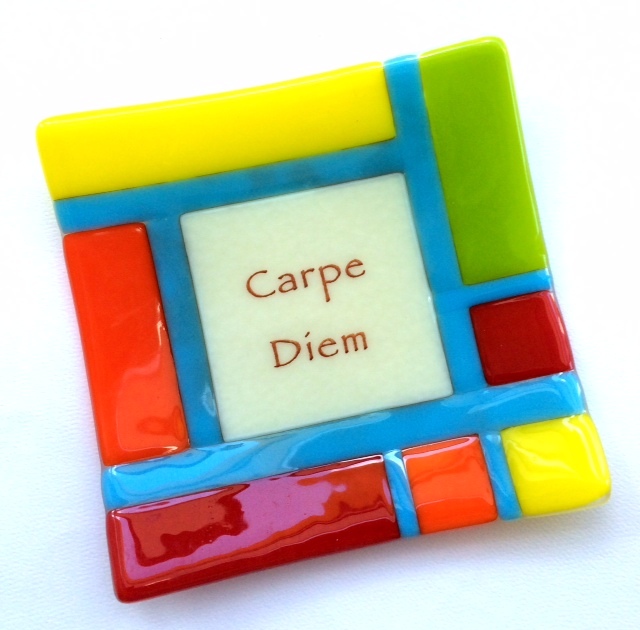 In addition to the Carpe Diem shown in our sample, we will have several other quotes to choose from. You can make the plate shown or create something entirely your own. The center area will be left clear of design for the addition of your chosen words. Perfect gift for that special friend, a new graduate or new mom!